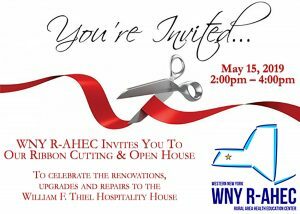 The Western New York Rural Area Health Education Center (R-AHEC) is a non-profit organization headquartered in Warsaw, New York. R-AHEC’s mission is “to improve health and healthcare through education. R-AHEC is supported in part by the Health Resources and Services Administration (HRSA) of the U.S. Department of Health and Human Services (HHS) under Grant number U77HP16459 and project title New York State Area Health Education Center System. 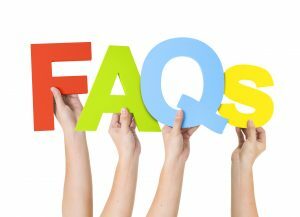 The information or content and conclusions are those of the author and should not be construed as the official position or policy of, nor should any endorsements be inferred by HRSA, HHS or the U.S. Government.  R-AHEC is a member of the NYS AHEC System. R-AHEC is an equal opportunity employer & provider. 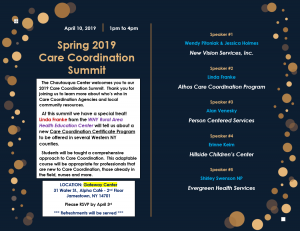 Support Western New York Rural Health Education Center Inc.
Our programs and services are designed and focused on building diversity, improving distribution of health professionals and healthcare workforce practice transformation. We work collaboratively with over 1,000 healthcare organizations and educational institutions throughout the Western New York Region. Keep up on the latest news, press releases, upcoming programs and events happening at R-AHEC! Attend Project TEACH’s Second Annual Forum on Innovative Practices in Prevention Science. This dynamic conference is for pediatric primary care providers to learn about practical implementation of prevention science into the primary care setting. Open to pediatricians, family physicians, nurse practitioners, adult psychiatrists treating children, and other prescribers. • Network with other primary care providers and leaders in prevention science. • Explore how early interventions improve outcomes in primary care settings. • Earn up to 5 CME credits. • And, contribute to better health and a brighter future for children and adolescents in New York State. 1 in 7 moms experience postpartum depression. Project TEACH strengthens and supports the ability of New York’s OB/GYNs and primary care providers to deliver the best possible care to women during and after pregnancy. Learn more about how Project TEACH can support you and your practice. 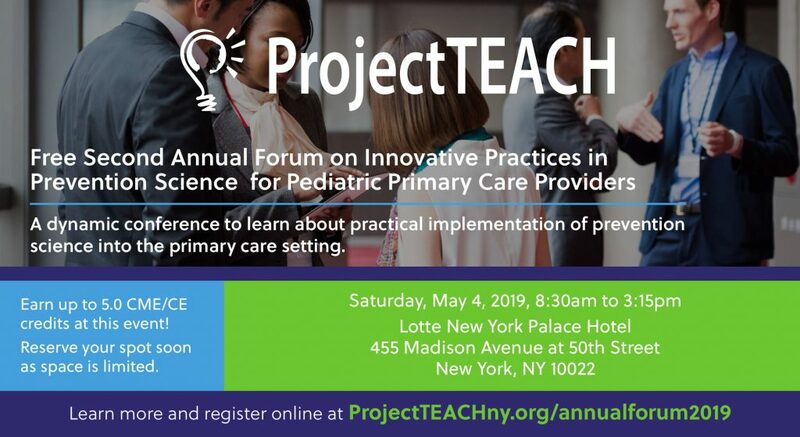 Project TEACH strengthens and supports the ability of New York’s pediatric primary care providers (PCPs) to deliver care to children and families who experience mild-to-moderate mental health concerns. Please join Project TEACH at one of the upcoming Intensive Trainings open to pediatric providers throughout the State. ProjectTEACH ... Better Health. Brighter Future. Good mental health lets young people live their best lives. Let us help you care for the kids in your practice.